Abacus Consult have a dedicated team of competent and experienced Revit Technicians and Building Services Engineers who combined provide our BIM capability. We have Revit Technicians who have been delivering BIM level 2 projects for several years on publicly-funded hospital projects, schools, student accommodation, residential and mixed-use schemes and we also have Revit technicians who are just finding their feet in the world of Construction and Building Services. It is for this reason that Abacus Consult have identified a need for regular, relevant, and targeted training sessions revolving around the application of Building Information Modelling within our field of building services engineering and how best to utilise the power of the software available to us to provide fully coordinated and fully compliant building services designs for our clients. We run regular classroom-based training sessions targeting features, applications or issues we have encountered on our various modelled projects. There is an opportunity for a question and answer session and a regular lessons-learned review. 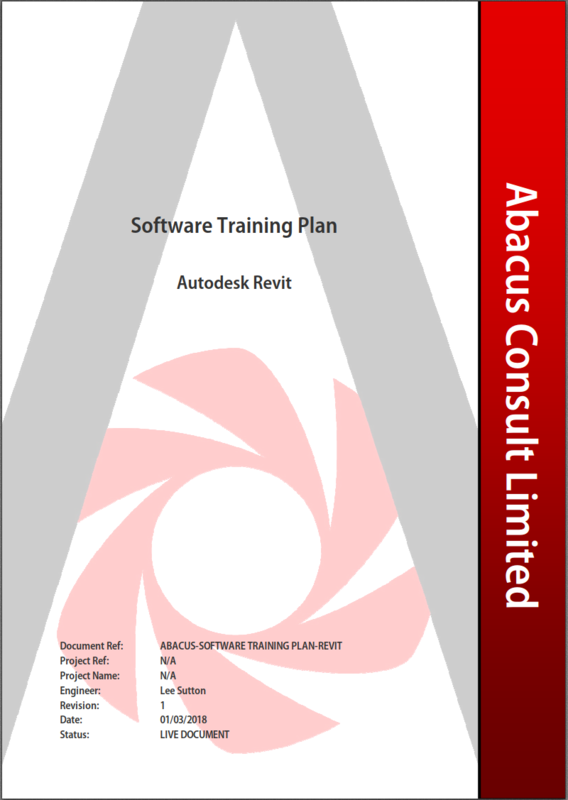 Our Revit training plan is available to all our employees. Some of the most valuable lessons in life are learned the hard way. This not our standard approach but is something we consider an integral part of personal and professional development. Revit trainees are closely shadowed by our team of experienced technicians and engineers to ensure that the quality of our modelled output is consistently high. “Pure logical thinking cannot yield us any knowledge of the empirical world; all knowledge of reality starts from experience and ends in it.”. EINSTEIN, ALBERT. IDEAS AND OPINIONS (P. 271). We believe that software training (classroom or hands-on) alone is no replacement for real world project experience. In this vain, we ensure that all our Revit trainees are given the opportunity to attend site inspections, design team meetings, coordination workshops and Model review meetings to gain an appreciation of hands-on engineering and the challenges faced in the real world when coordinating these services. Key to the success of all this is that all Revit trainees have access to experienced technicians and engineers who can assist, advise, and provide on the spot training when and where required. If you have any questions relating to our services do not hesitate to get in touch. We will be happy to discuss your requirements.